The Russian defense industry has always had a flair for the dramatic. The Soviet military-industrial complex carried so much sway in the Politiburo that at times, it operated with little oversight from the General Secretary. It produced wonder weapons and prestige platforms with little regard for their cost and strategic value. Consider the notional future Russian Federation Navy (RFN). Their fleet, once outnumbering the U.S. Navy 3.5:1, now spends most of its time in port. Russia’s major shipyards are now going full tilt, building frigates and nuclear powered — and armed — submarines. Evidently, the RFN has even grander designs: a squadron of what would effectively be nuclear powered battlecruisers. Given the grandiose design of the ship, it is worth examining whether the Russian military intends for it to ever exist at all or if it is nothing but a propaganda piece. Recently, the Russians have announced truly fantastic projects, such as a fleet of supersonic stealth transport aircraft capable of covertly inserting an armored division overseas. Open sources show that the RFN has desired a next-generation, medium to large surface combatant for years, and that more reasonable proposals gained traction before losing out to the current design. Additionally, a video about the Lider focuses on the wide array of Russian corporations contributing to its construction rather than the ship’s actual capabilities. Moreover, it was produced by an industry-focused media concern rather than the expected propaganda outlets, such as RT. 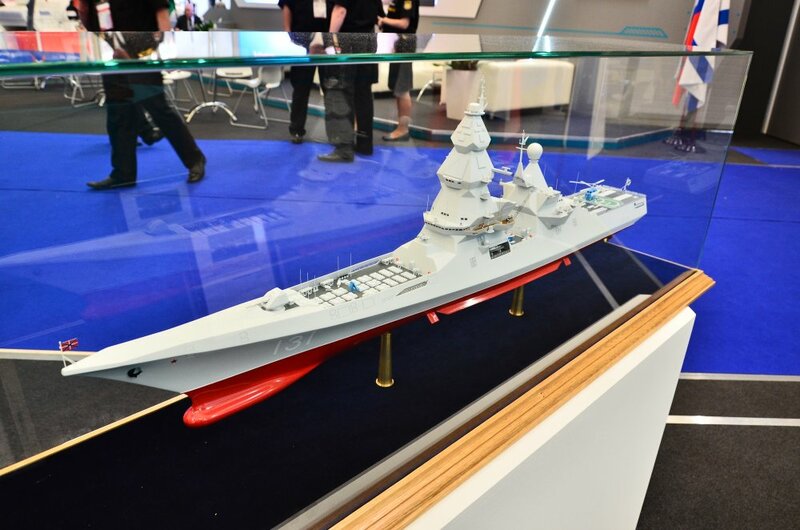 Russian officials announced they will build twelve of these battlecruisers. Realistically, most observers should expect to see one or two. A ship’s size tends to drive the cost of constructing it, and there’s a catch to building ships with the massive weapons capacity and power plant of the old Soviet battlewagons: they’re probably going to be about the same size. Some sources suggest they’ve even been designed by the same firm responsible for the Kirovs. This implies the Lider will be a budget breaker like its predecessor. The Russians are setting themselves up for a major discontinuity between ends and means. A recent statement by the CEO of Russia’s state owned shipbuilding conglomerate reveals that his view that future submarine construction should focus on defending ballistic missile submarines, a mission that would take place relatively near to Russian territorial waters. The acquisition of the Lider battlecruisers — plus recently announced plans to acquire a nuclear powered supercarrier — may suggest the forces that drive the development of the surface fleet are not in synch with the forces driving the submarine fleet. One side is building towards a strategically defensive Cold War-era doctrine, the other toward an essentially all new doctrine based on power projection. Neither of these tracks would be of much value should Russia attempt to invade one of the Baltic states, a prospect that recently gained some overt support in the Russian government. Ben Hernandez is one of the hundreds of students under instruction at Naval Station Newport, R.I. The views expressed in this article are those of the author and do not reflect those of the U.S. Navy, the Department of Defense, or the U.S. Government. Hassan, Abbass, World Defense Review, Russian Navy approves the proposed future destroyer, 14 February 2013, accessed 17 July 2015.